Cheryl Fernandez-Versini’s got the eXit Factor! CHERYL Fernandez-Versini’s return to The X Factor has been a storming success but her future on the show is hanging in the balance. 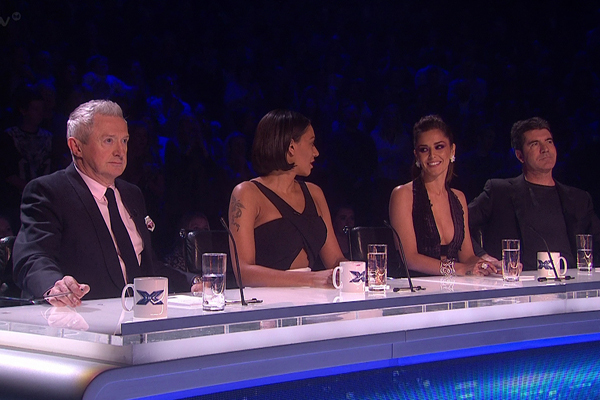 Mel B’s co-judge is reportedly ‘on the verge of quitting’ after the 2014 series wraps at the weekend. When quizzed about whether she will return to the ITV show next year, Cheryl dropped the biggest hint yet she’ll bow out. Talking to the Daily Star, she said: “That’s a question Simon would have to ask me himself. “Then I would have to talk about it because it’s been very emotional. “You get attached, you try not to but we’re human at the end of the day, you can’t help but feel the emotion, it’s tough. The 31-year-old is at the centre of rumours she and the former Spice Girl are at war but she’s rubbished all such talk. Cheryl assured us: “If there was a war you would know about it, you would really know about it.